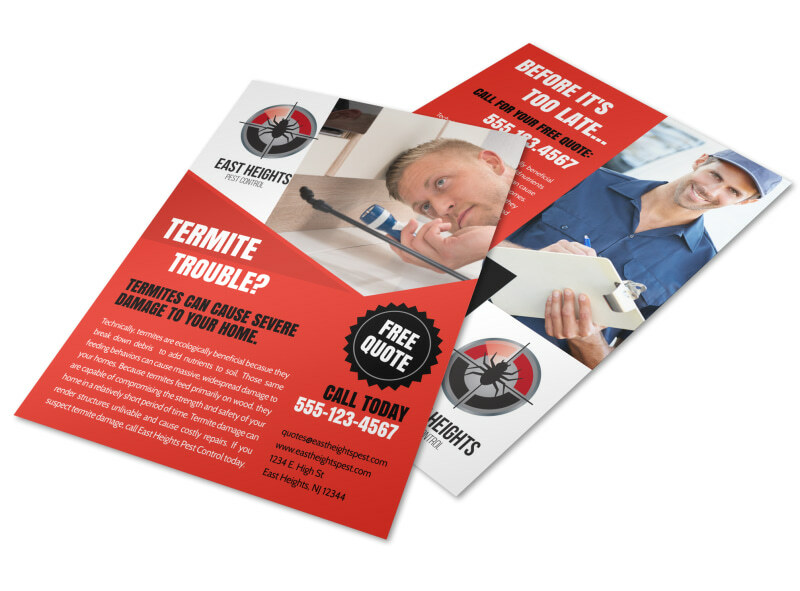 Customize our Free Quote Pest Control Flyer Template and more! Let homeowners know that you can give their homes a once-over to check for the presence of unwanted critters with this flyer you customize for your pest control business. Navigate our user-friendly online editor to easily add photos of your team of exterminators on the job, choose a color theme to complement your text, and upload your company logo before sending your design to print. Set down your bug spray and create your flyer today.